The only hotel located on the beach and overlooking the boat Marina. Marinotel provides 383 rooms and 21 suites with 5 Star service, indoor pool and Health Club - in its unique position! Online Discount. A 5 Star Hotel Tivoli Marina Vilamoura has a prime position overlooking the magnificent sight of hundreds of yachts in the Marina at Vilamoura in the Algarve, Portugal. It also has the advantage of walking straight from out of the landscaped garden onto the sandy beach. 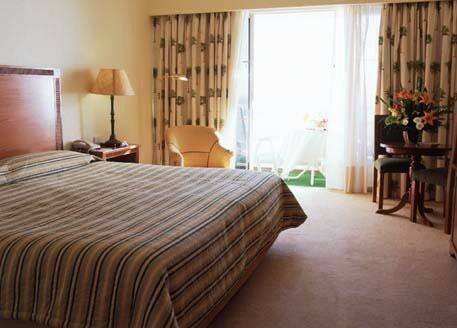 With its friendly and efficient service it can justly claim to be an outstanding Hotel in the Algarve. The Hotel has 383 bedrooms and 21 suites either with sea or Marina views, and offering a good choice to meet the needs of guests. 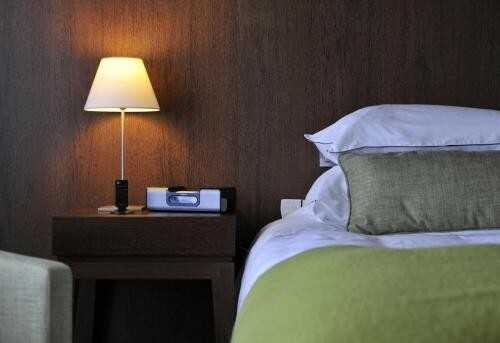 Each individually air-conditioned bedroom has a safe, mini-bar, Internet and Voice Mail, satellite and Pay Video channels. 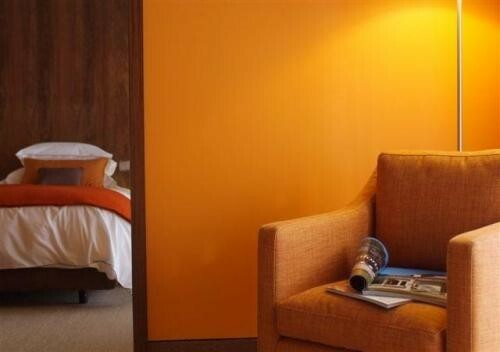 Although, nearly all rooms are equipped with twin beds there are 40 bedrooms with a double bed. For the convenience of the guests there is the 'Sirius Restaurant' overlooking the Marina and offering quality cuisine with the accompaniment of background live music. The 'Arius Restaurant' provides a choice of either a buffet meal or 'à la carte'. The 'Orion Coffee Shop' meets the needs of guest seeking light meals and snacks. The main Bar is the 'Castor' overlooking the Marina and with live music, whilst the 'Aquarius Sports Bar' is a lively place for an evening drink. During the summer season there is further choice of two more bars, one on the beach and the other to service the pool area. Facilities include two outdoor pools, one of which is reserved for children, a Health Club with many facilities, one indoor heated pool, two floodlit tennis courts, a Volleyball court, a Children's Play Room, and a Business Centre. Also, for the convenience of guests there is a Kiosk, Beauty Salon, and a Shopping Arcade. Covered and uncovered parking is provided. There are 21 rooms for meetings which provide from 20 to 1.200 people. Spacious suite featuring a separate living room and a balcony with sea views. Spacious suite featuring upgraded decor. Comprises 2 interconnected Double Rooms. Comprises 2 interconnected Deluxe Double Rooms.